Ray Charles, nothing more needs to be said. Best Porgy and Bess evah!! Fantastic CD with classic music from two musical treasures. The CD was truly "like new". Couldn't be more pleased with the quality! 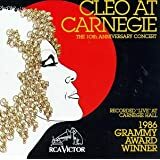 Ray Charles left his own music behind to sing Gershwin with one of the most brilliant songstress of all time, Cleo Laine. The result was one of the most magical duet albums ever recorded! Beware! This is not one of your typically light opera versions of Porgy and Bess. This is the artistic interpretation of two accomplished artists who turn Gershwin's music into an unusual mix of spectacle and soul! Not since Ella Fitzgerald and Louis Armstrong has any artist attempted to put hot and raw jazz back into this magnificent array of songs. Cleo Laine's fine vocals with Ray Charles' raw soul is a perfect match! Each song arrangement was perfectly matched to the artist by Frank DeVol with a 78-piece orchestra. Great instrumental artists like Joe Sample, Lee Ritenour, Joe Pass and Ernie Watts are just some of the many gifted in the orchestra. Many of the arrangements are so hot that they can stand on their own. The opening number "Summertime" swells into a gorgeously rich duet. Cleo Laine's finale in "My Man's Gone Now" is a vocal high. "I Got Plenty O' Nuttin'" is a cooking duet between Ray & Cleo. "Bess, You Is My Woman" is rich with tenderness and longing from both singers. 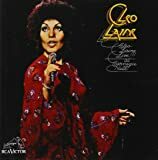 Cleo Laine hits angelic gospelly highs in "Oh, Doctor Jesus". "It Ain't Necessarily So" is one of the funkiest duets in the album. It scorches beyond belief! "I Love You, Porgy" is a sweeping tour-de-force for Cleo Laine. Ray Charles' earthy soul is full force in his version of "Oh, Bess, Oh Where's My Bess". The finale "Oh, Lord, I'm On My Way" hits the heavens with Ray's gospel vocal. The lp was originally recorded in 1976 and the cd was digitally remastered in 1988. The vocals are marvelously recorded. You'd swear you were in the recording studio! The only downside of this cd is its limited release yet well worth the search. When Norman Granz got the American jazz-blues giant Ray Charles. 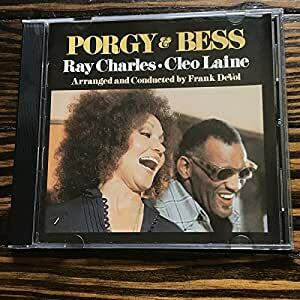 and the British songster Cleo Laine (now Dame Cleo Laine) together to record George Gershwin's immortal "Porgy and Bess," they made an album fit for the musical gods. 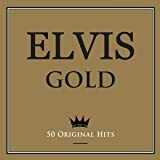 It was nothing but the best from the start; their voices are supported by orchestra or jazz band, as needed; the record was arranged and conducted by Frank De Vol. Charles delivers swinging versions of "A Woman is a Sometime Thing," "I Got Plenty of Nuttin'," and "It Ain't Necessarily So. He's soulful on "Bess You Is My Woman," "Oh Bess, Oh Where's My Bess," and "Oh Lord, I'm on My Way." And on the brief, rarely heard peddlers' cries, "Crab Man," and "Here Come De Honey Man,"well, he's Ray Charles. It's no surprise that Laine delivers beautiful renditions of "Summertime,""My Man's Gone Now," and "I Loves You Porgy," but wait til you hear her on the brief, rarely-heard peddler's cry "Strawberry Woman;" just meltingly beautiful. I was lucky enough to hear her in a prime a few times, and that was Laine's voice. This is an album worth seaching high and low for.